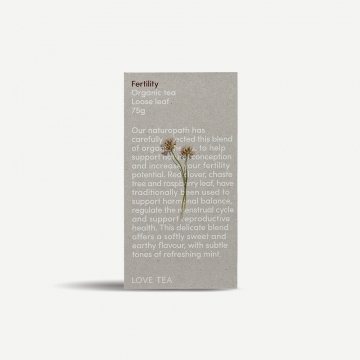 This earthy and subtly sweet Fertility tea blend has been designed to improve natural conception potential. 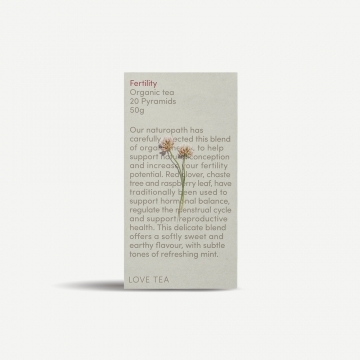 Our naturopath has carefully selected this blend of organic herbs, to help support natural conception and increase your fertility potential. 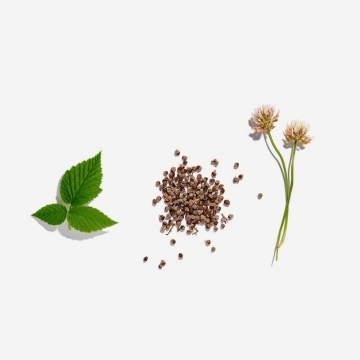 Red clover, chaste tree and raspberry leaf, have traditionally been used to support hormonal balance, regulate the menstrual cycle and support reproductive health. This delicate blend offers a softly sweet and earthy flavour, with subtle tones of refreshing mint.